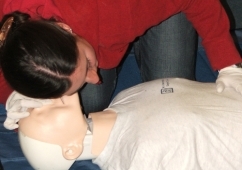 Field first aid courses for those who work or play in the outdoors. 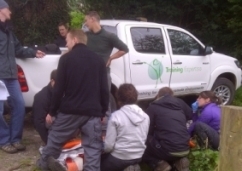 Our hands-on outdoor first aid courses are practical, flexible and meet the needs of outdoor workers and enthusiasts. 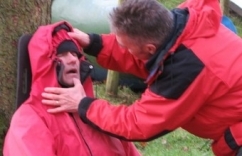 We offer a range of outdoor first aid courses, focused on the needs of fieldworkers, outdoor workers and expeditioners who may have to deal with first aid incidents, with minimal equipment, whilst away from immediate access to external help. The courses are accredited through REC and meet the needs of NGB qualifications such as MLTB, RYA and BCU. As you’d expect they focus on practical scenarios, improvised solutions and giving you confidence to work and play in the outdoors. 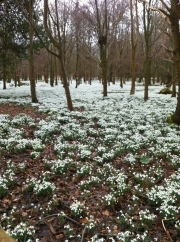 We offer a range of options from a four hour introduction to the concepts of outdoor first aid through to the full 16 hour REC level 2 outdoor first aid course as required by NGBs such at the MLTB. The short course is the perfect introduction suitable for Duke of Edinburgh students or teachers involved in lower level outdoor activities. The one day option gives you all the key first aid skills and meets the needs of some organisations and awarding bodies. Finally the 16 hour course is the industry standard for outdoor instructors and workers, in many schools and universities who take part in fieldwork in the outdoors and is used by many expedition and travel companies. 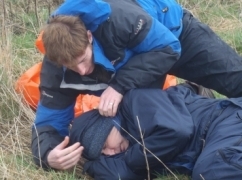 All of our field first aid courses are practical, designed for outdoor instructors and enthusiasts and those who work in remote environments. 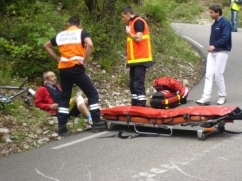 They are delivered by outdoor people for outdoor people, and will involve plenty of outdoor scenarios. They cover both life-saving skills and also care for more common problems that happen in the outdoors, such as blisters, dehydration and hypothermia. The courses are entry level so can be attended by anyone irrespective of previous experience and we are used to catering for a range from complete beginner to those who may have attended similar training many times over the years to keep certificates valid. We pride ourselves on the flexibilty of the training and the experience of the trainers, allowing us to adapt the training to suit you and ensure everyone is learning something new. If you are not sure which course would be best for you or want to discuss a bespoke course for your group, please just get in touch.